The regenerating, deep-acting multi-active cream for the morning and evening with feel-good character. Comprehensive, deep-acting care for demanding skin that needs new volume and strength. Highly effective intensive care with extract of peony, high-performing peptides and hyaluronic acid. The skin is vitalised deep down, the appearance of lines, wrinkles and age spots rapidly reduced, the skin looks noticeably rejuvenated. For an extra helping of moisture. Real silk particles and selected oils provide long-term pampering and nourish the skin, leaving it unbelievably soft. 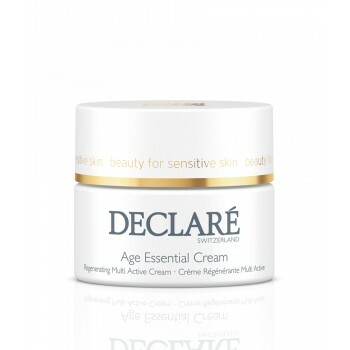 Ideal for skin that is particularly sensitive and looks thin after hormonal change. 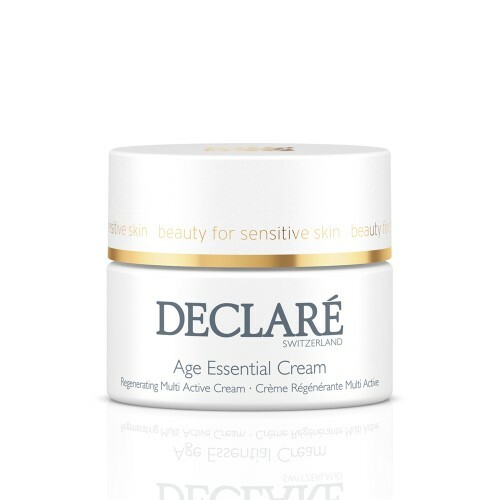 Apply AGE ESSENTIAL CREAM to the skin after cleansing in the morning and evening, and ideally after preparing it with AGE ESSENTIAL ESSENCE. Extra tip: pamper your senses as well as your skin by first melting the cream gently in your hands. Close your eyes and raise your hands until they are level with your nose. Now experience mindfully the relaxing, fine fragrance of the cream before massaging it onto the skin using gentle circular movements.